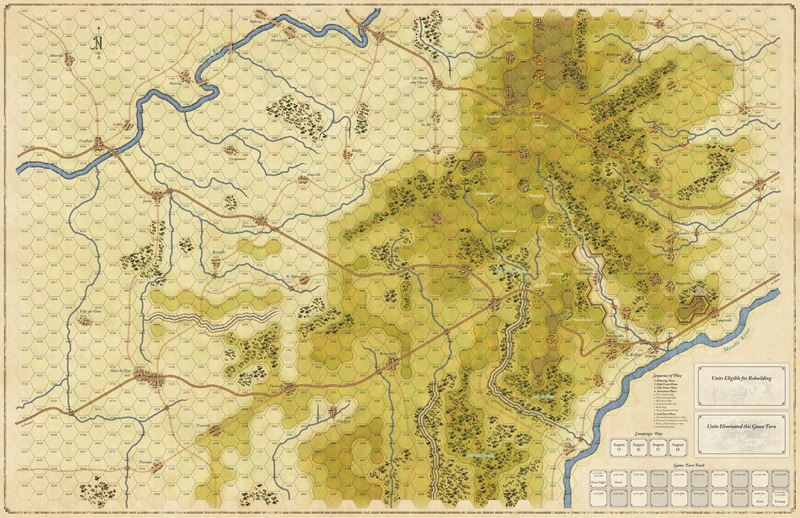 The Franco-Prussian War; not many besides historians and wargamers have even heard about it. The Franco-Prussian War is really the catalyst for the events of the next seventy-five years in European history. If France had not lost this war, and had Germany not taken Alsace-Lorraine from her as one of the spoils our world might be very different. France's burning desire for revenge and the return of those areas was one of the main reasons behind World War I. Had Germany not lost World War I there would have been no need for a second war with Germany looking for revenge. The Franco-Prussian War was the last act in Bismarck's successful attempt to unite Germany under Prussia. The next part about the Franco-Prussian War was not just how France lost, but how she lost so badly. There have been few wars where one side had weapons that were so technologically enhanced over the other side yet still lost (except for wars of liberation). The French rifle, the 'Chassepot', had a range twice that of the Prussian rifle. It also had a higher rate of fire. The French also had the Mitrailleuse that was the first well functioning machine gun used in large numbers on the battlefield. Time and again, the Prussians and their Allies stormed into the hail of lead that was thrown at them by the French forces. The Mitrailleuse was, unfortunately for the French, used as an artillery piece, and rarely made its presence felt as much as it should have. The war came down to a lop-sided game of chess between the efficient Prussian Generals, and the lax, and almost comatose French generals. The French High Command acted like prey transfixed by the eyes of a serpent. More than a few times, the Prussians and their Allies broke or almost broke under the weight of French fire while attacking. 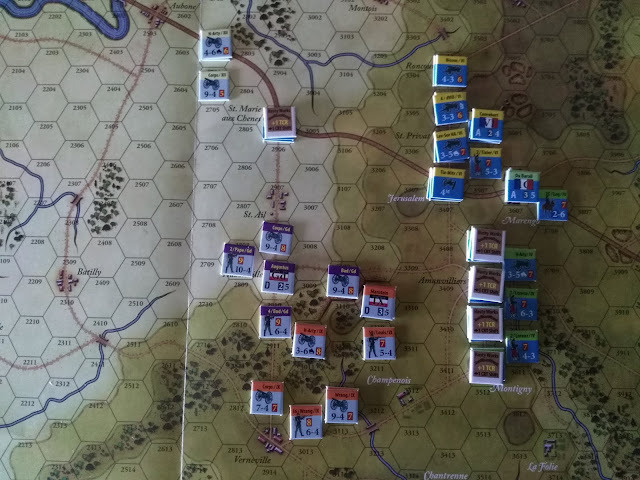 The French High Command could not overcome their malaise, and constantly pulled defeat from the jaws of victory. 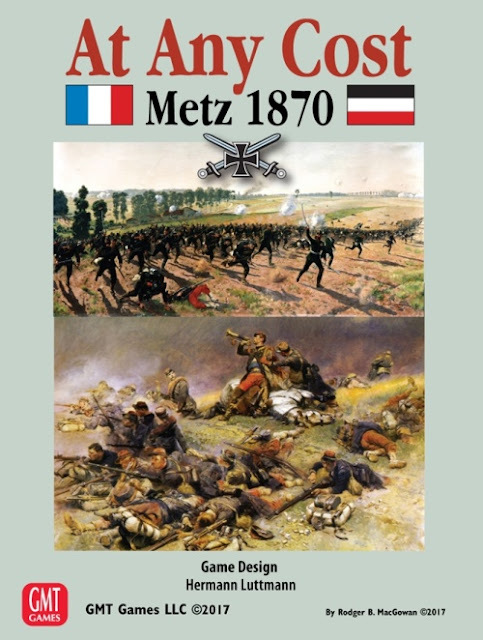 At Any Cost is a simulation (I hate using the word 'game' for a wargame) of the French Army under Marshal Bazaine's attempt to escape from the environs of the fortress of Metz, and meet with another army under Napoleon III. 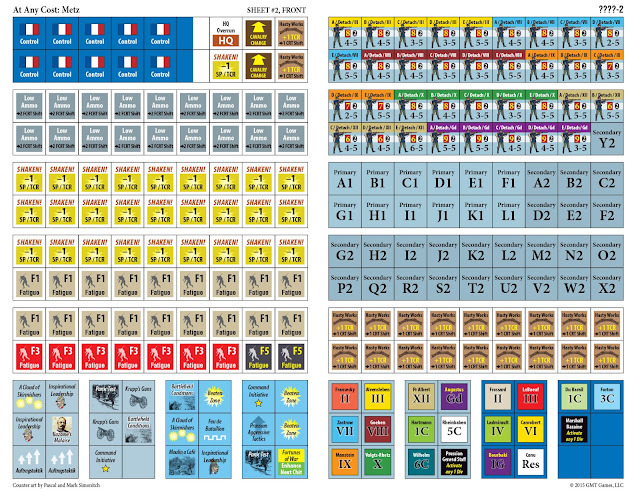 The six scenarios of the game take place during August 15th to August 18th 1870. They run from small two corp battles on each side to two different campaign scenarios. This 'game' uses the 'Blind Swords System' to play out the different battles. It is essentially a chit-pull system that emphasizes the three 'FOWs' of war: fog-of-war, friction-of-war, and fortunes-of-war. The Blind Swords System is meant to put the player on the horns of a dilemma and to keep him there during the entire game. The game itself is based upon infantry brigades, cavalry, and artillery. This was the last war where cavalry really made any useful contribution on the actual battlefield. The situation that the Prussians find themselves in is that they have lost the French Army. The Prussians outnumber the French, but due to fatigue and weather Bazaine's Army has escaped their grasp. The French forces are trying to go West, however their somnambulist state plays against them at every turn. The Prussians find the French, but assume that it is their rearguard. Unfortunately for them it is actually the slow moving French vanguard. The Rulebook is twenty-eight pages long. Both it and the Playbook are in color and well set up and easy to read. The counters and map are your typical GMT fare. Which means they are extremely well done with great artwork. On the map each hex represents 500 yards. Beaten Zone: Play immediately of hold. Any one French Infantry or Mitrailleuse unit conducts an immediate fire combat following all normal procedures. Command Initiative: Hold. Play at the end of any enemy's HQ Command Step (after the opponent assigns an Order to the activated HQ units). Roll a die and apply the following. 1-2 = Active HQ unit is given a different Order by the Prussian Player. 3-4 = Active HQ unit is given a different Order by the French Player. 5 = Active HQ unit must be given a March Order. 6 = Active HQ unit must be given a Defend Order. 7 = Active HQ unit must be given a Regroup Order. 8 = Active HQ unit must be given an Attack Order. 9-10 = National Doctrine: French HQ must be given a Defend Order. Prussian HQ must be given an Attack Order. So, you can see by the chits how the Blind Swords System at times actually gives your opponent the chance to change your own forces' orders. This unique use of the chit pull system has now become the ultimate in fog-of-war. You,as the French Player, could give your HQ's defend orders only to see the Prussian Player able to change your orders to attack and vice versa. Remember that the chief goal of the French Player is to escape (in the campaign scenarios). So, not only is good play needed on the tactical level, you must also be ready to have all of your well thought out plans thrown to the winds. The system took an old grog like me a little bit of getting used to. Then I was able to embrace it, and see how artfully it depicts not only the fog-of-war, but also the friction, and fortunes-of-war. I have been a student of this war since I was a child. I have played out these battles in my mind and table for the last fifty years. I can say, unfortunately for me, this game is the best tactical representation of the conflict I have played. I said unfortunately because I have always wanted the French to win these battles. The smaller scenarios, including my favorite 'Twilight Of The Guards' are able to show how close the French came to victory, and can actually have the French winning them. The campaign scenarios are a bit tougher on the French side to win. 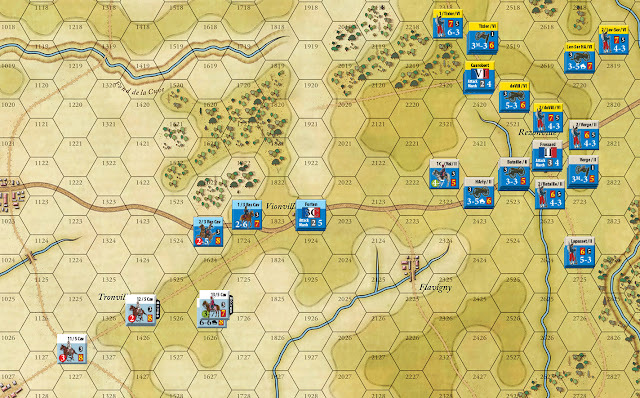 The 'French Army Morning Deployment Rule' (they are essentially laying in their tents waiting for water to boil for their cafe) in the campaign scenarios really hamstring the French Army's retreat. This is not a bad thing, and is totally historic, but it is tough to overcome. I have liked the postings I have seen by the designer Hermann Luttmann, and his very prompt answers to game questions. He also does not treat the rules as if they were etched in stone, but encourages players to experiment with changes to them. 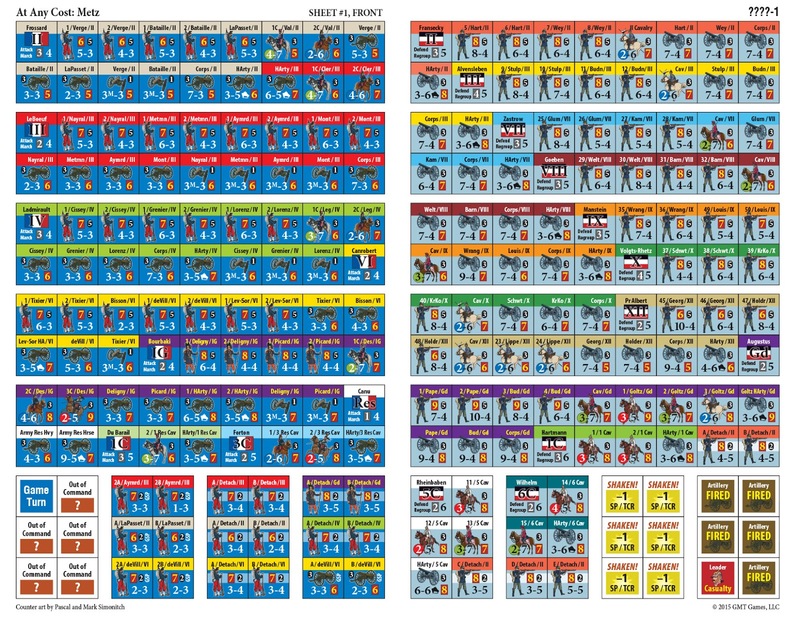 That is the one thing that board games will always have over computer ones. If you find a rule that is non-historical or doesn't work, don't use it and make your own. It's your game. I can unequivocally recommend this game to anyone with an interest in the era. I can also recommend the Blind Sword System to grogs who are looking for a change of pace. The system is going to be used in a number of upcoming games from the 19th century.